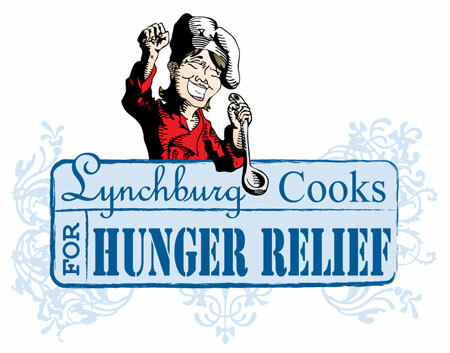 Over 35 vendors (food and beverage providers) will be showcasing their signature dishes/drinks for sampling at this year’s Lynchburg Cooks for Hunger Relief. Each year, the Lynchburg Cooks for Hunger Relief committee reviews area non-profits that are working to end hunger in our region. They select three each year to split 100% of the proceeds from the event. To date, they have donated over $240,000 to area charities focusing on hunger. This year, the receiving Non-Profits are: Central Virginia Area Agency on Aging (United Way Partner Agency), Piedmont Community Impact Organization (United Way Partner agency) and Rivermont Area Emergency Food Pantry. Area restaurant owners MJ & Rob Pearson (Charley’s) and Kevin Middleton (Bull’s) realized back in 1992 that hunger and food insecurity in our area was a growing issue. Being so linked with the food service industry, they felt it a great partnership to pair restaurants and distributors with a cause they were tightly connected to and could impact. Live music will be performed by The Almost Brothers Band. There will also be a silent auction with some great items up for bid. Tickets can be purchased at LynchburgTickets.com at $30 in advance, $35 at the door or by calling United Way of Central Virginia at 434-846-8467. All vendors are included in the price of the ticket (21 and older for alcoholic beverages). More information can be found at LynchburgTickets.com, UnitedWayCV.org or on Facebook with United Way of Central Virginia. For those interested in volunteering or helping with next year’s event, please contact MJ or Rob Pearson (434-237-5988) or Kevin Middleton (434-385-7581).